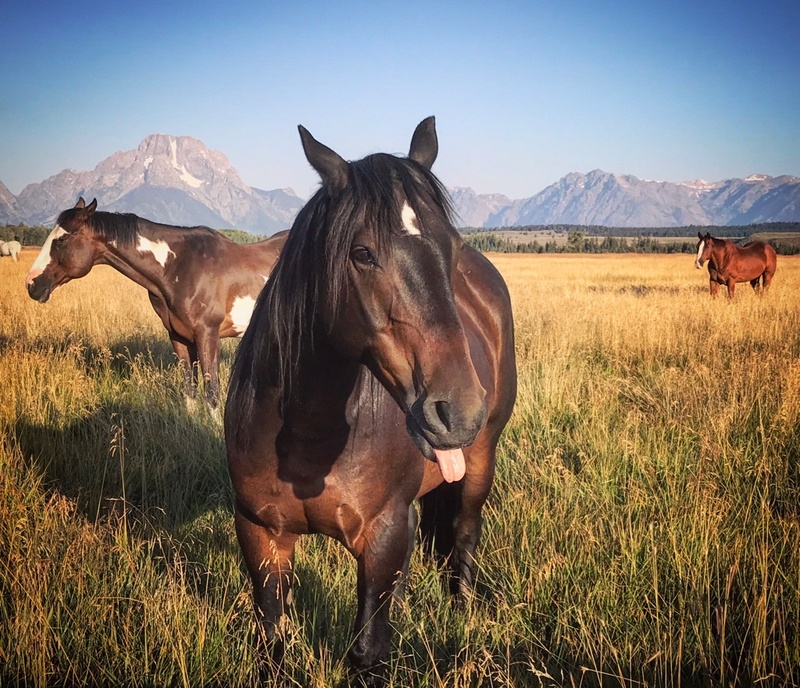 Catching you up to speed, we left Afton and the Salt River sportsman access and headed down the Star Valley Scenic Highway to Jackson, Wyoming. 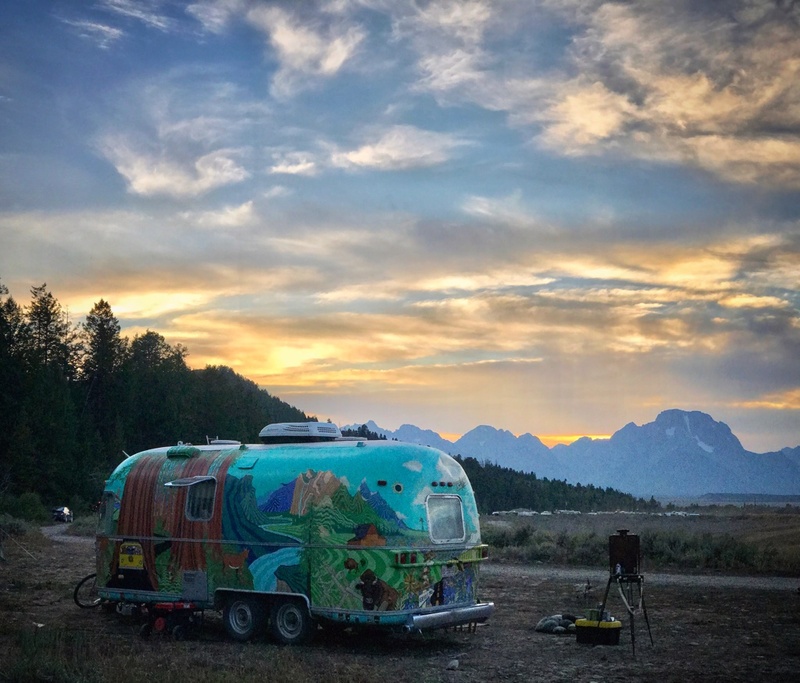 As we rolled into the Hole ( meaning the valley under the Tetons), we had a camp site all picked out on triangle x road. We drove traytray up the hill and found a lovely spot overlooking the park. Considering the upcoming celestial festivities we decided to take what we could get. 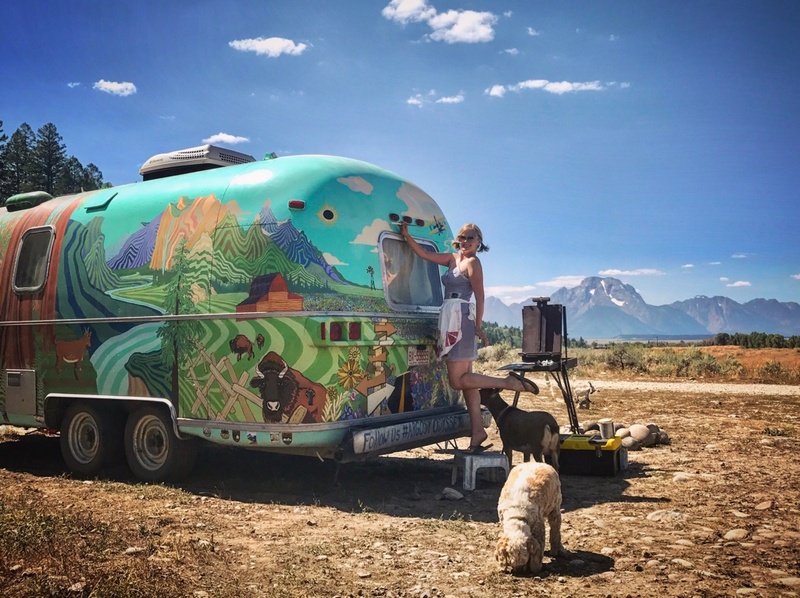 There were a ton of RVs there, so we parked it, disconnected and went in search of greener pastures. 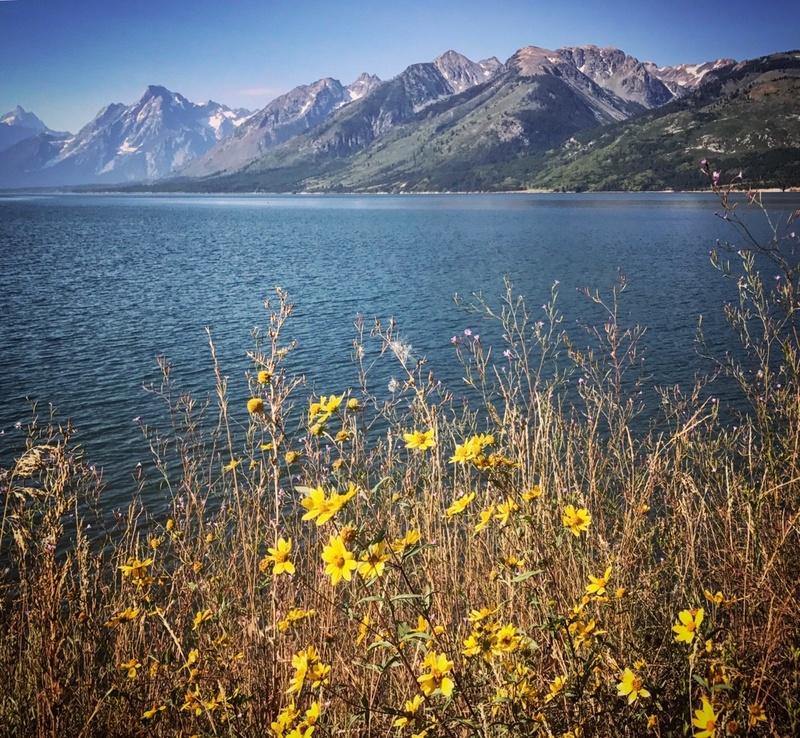 After a little searching we found a forest service road next to a gravel pit with a phenomenal view of the Tetons! As we rolled in, a lonely forest service guy was painting lines in the gravel pit. Personally I thought he was being punished… but alas, he was creating an Independence Day style RV campground…. 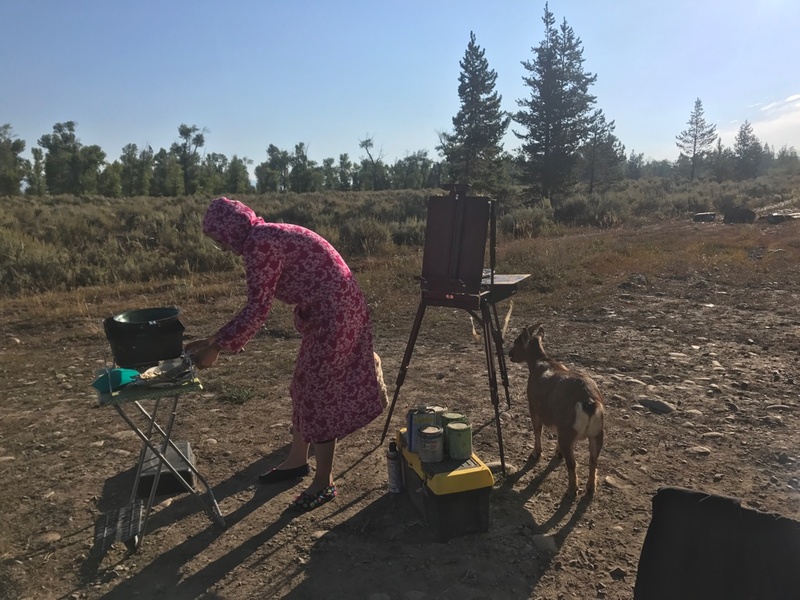 There was only one camper on the road so Cate stayed at the spot with two chairs and the animals while I collected traytray from her resting spot. In the process, I had to ask for help to hook the camper back to the GMC. Our gracious non-neighbor not only helped me with the join-up, but also gave me a cool leveling doodad to put on our camper! Wheels down, we set out the next day into the Tetons. The goal was to do the parks and avoid the crowds before the Eclipse. 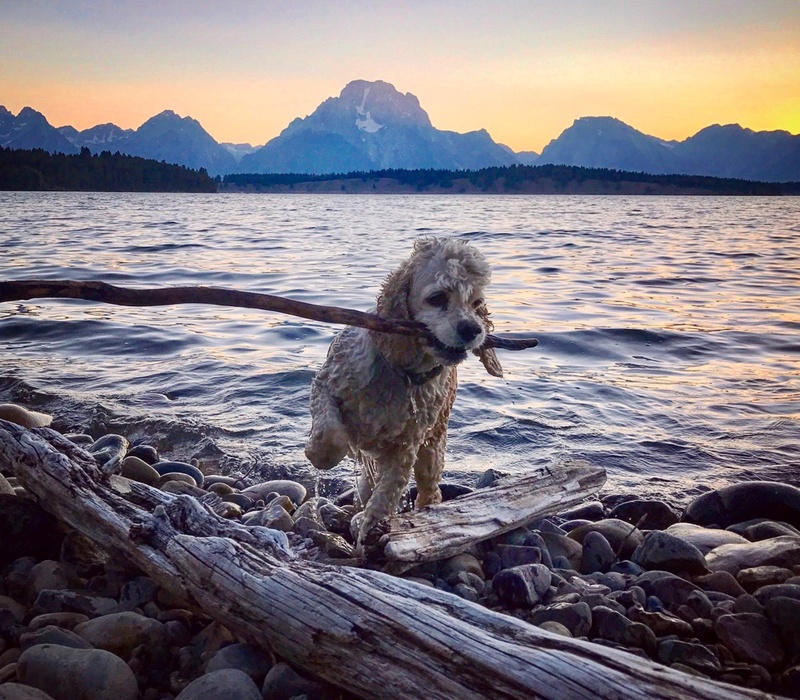 We drove by Jenny lake, Signal Mountain, and finally Jackson Lake. Absolutely gorgeous! 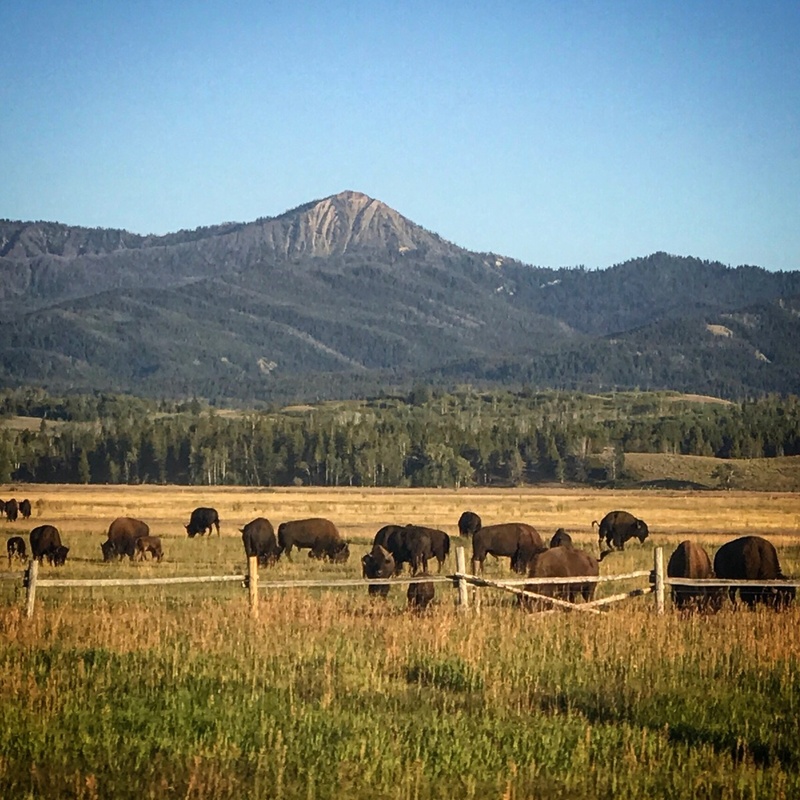 The next morning we decided to do Yellowstone. This was an epic day! We secured traytray, loaded the animals and set out. Yellowstone was about 30 miles North. The park however is enormous. In total we spent about 12 hours driving and sightseeing. 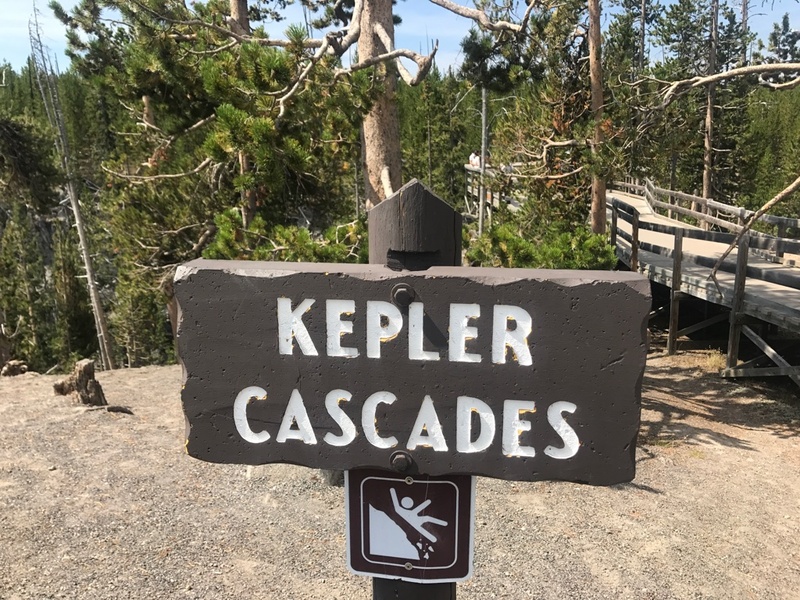 The first place we went was Kepler Cascade… and for those of you that don’t know, my son’s name is Kepler. The view was astounding! 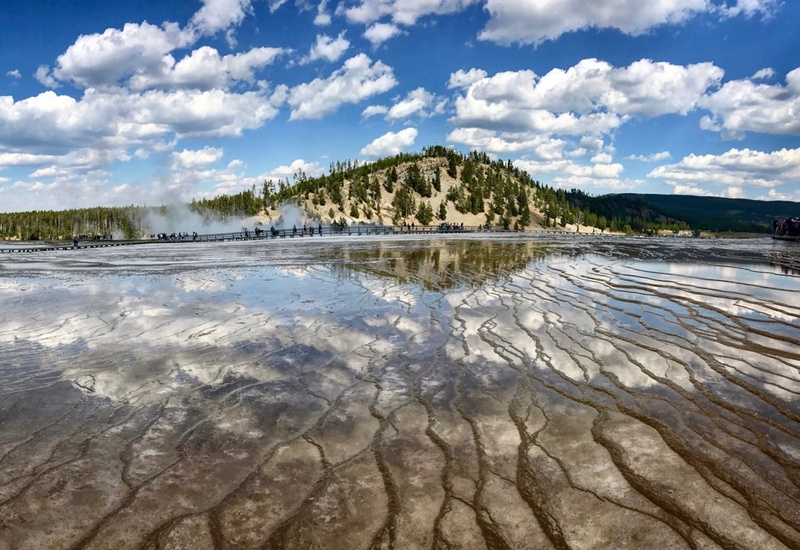 The next several hours were filled with side trips to prismatic springs, the paintpots, and various geothermal attractions. What a fascinating and varied landscape this is. All of this was capped off by a visit to Mammoth springs on the north side of the park. Words escape me. I loaded up the bike and on into Jackson. Had to replace the rear brakes. My all time best of 25 minutes to replace both sides of the rear brakes. Maybe I missed my NASCAR calling. that done, I went to Moose. 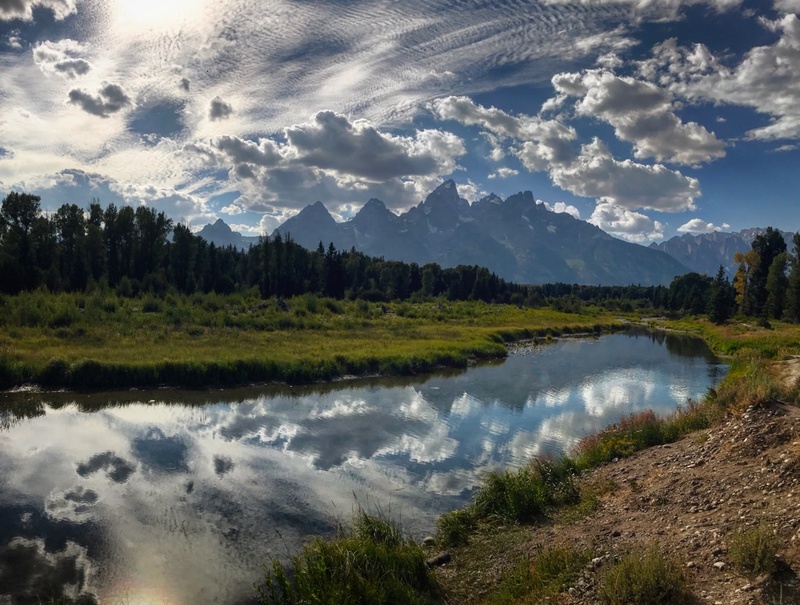 This is the main entrance to the Grand Teton National Park. Pumped up the bike tires, packed the water and bear spray, and after a short trip to see the visitor center, I was on my way. 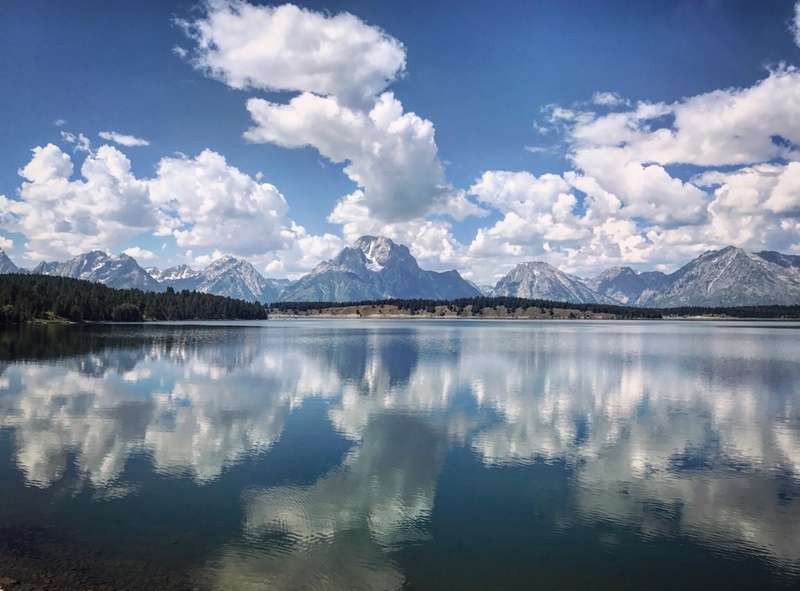 18 miles round trip to lake Jenny, and after a quick dip in the water, i rode back under the towering Tetons. The next two days, we stayed away from the parks, first by seeking out Granite hot springs at Granite Falls. 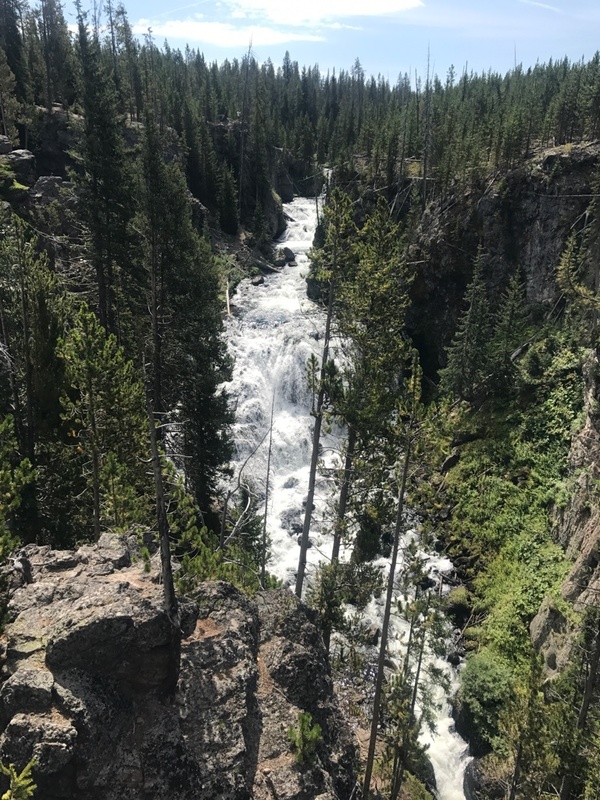 This was a breathtaking area and next to the main falls was a tiny hot waterfall that mixed with the river at a tiny pool. Unfortunately the pool was packed, but we still had a lovely afternoon. The next day found us hiking in a valley south of town where Frankie conquered her fear of water (at least temporarily). The trail intersected a sizable stream crossing. We figured we’d just go for it and see what goat did. After much baaaaing and complaining, she slowly put one hoof in the water, followed ever so slowly by the other, and then bolted across. The deepest part of the ford came up to about her shoulders. On the return trip it was merely a slight hesitation before she realized the inevitable and dove right across! We explored a bit more, watched the sunset anticipating the big day to come. Eclipse day arrived, our little forest service road was as busy as ever. Cate made breakfast while we waited. At 10:17 the moon began it’s transit across the sun. 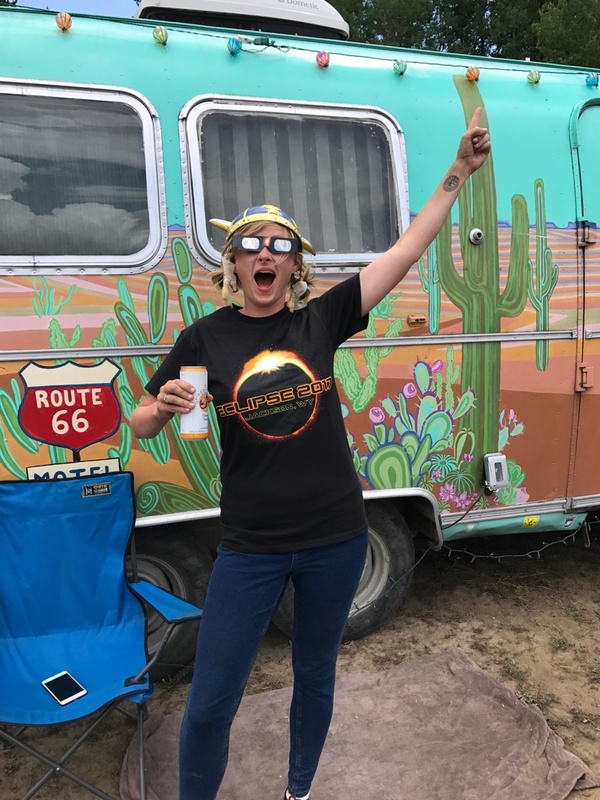 We peered through our eclipse shades, cranked up some Pink Floyd and proceeded to enjoy the show. Eventually two okies pulled up next to us and set up a telescope. They invited us to look at the sunspots! It was incredible. But not as incredible as what followed. Just before totality, the shadows split in two….the dappled light through the bushes morphed into hundreds of little crescents, like a bunch of little eclipse viewer projections. Then we realized the very air around us started to ripple as the temperature dropped rapidly. It was like being at the bottom of a swimming pool! Shadow Bands!! At the moment of totality the land became dark, and still. 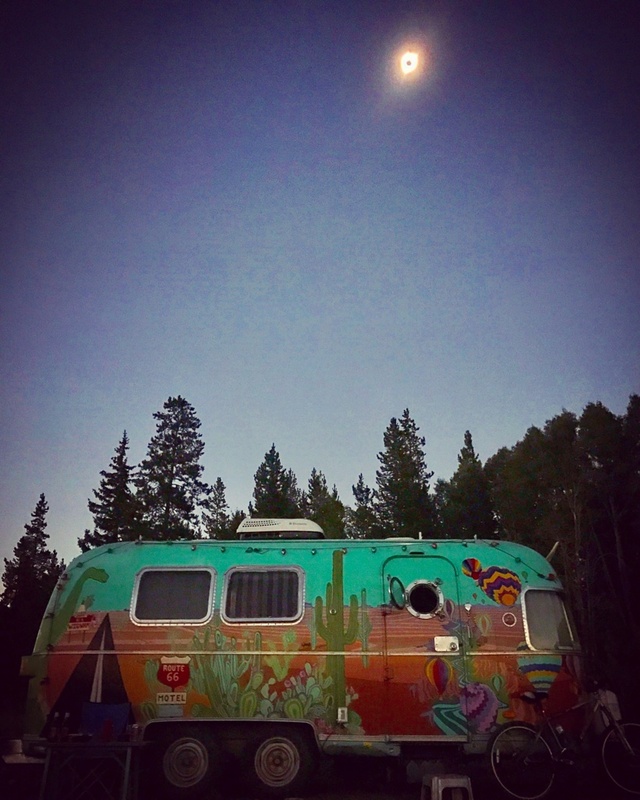 The brighter stars came out and the Eclipse itself looked huge over the camper. It was very surreal, from over the hill in front of us we could hear screams of awe and excitement from the others watching. It was over entirely too fast. 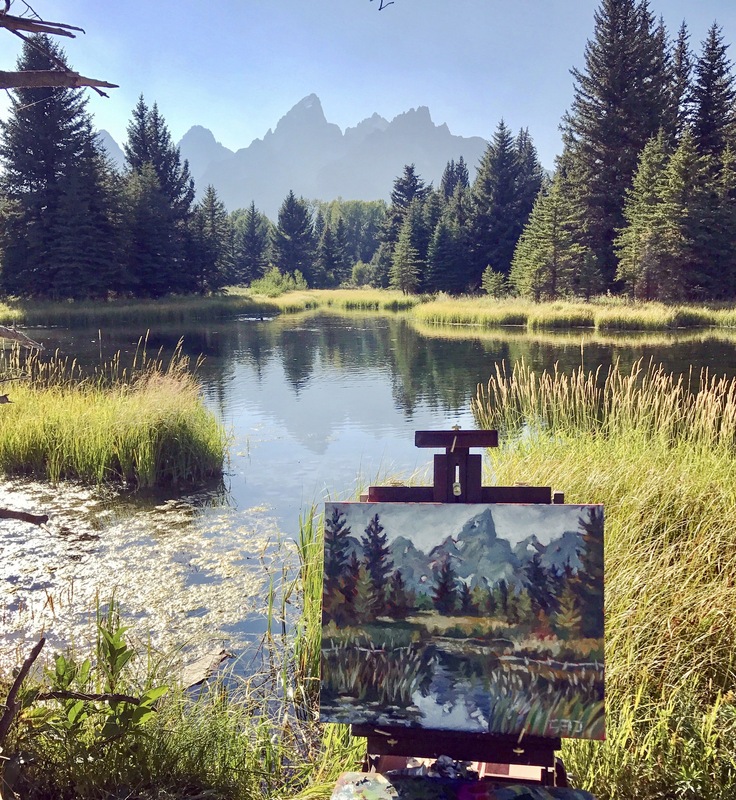 With the eclipse over, Cate headed to Schwambacher Access on the snake river to do some painting while the animals and I explored the park a bit more. What a fantastic week we had. Next up, Craters of the Moon, Atomic City, Sun Valley and the Sawtooth Mountains! 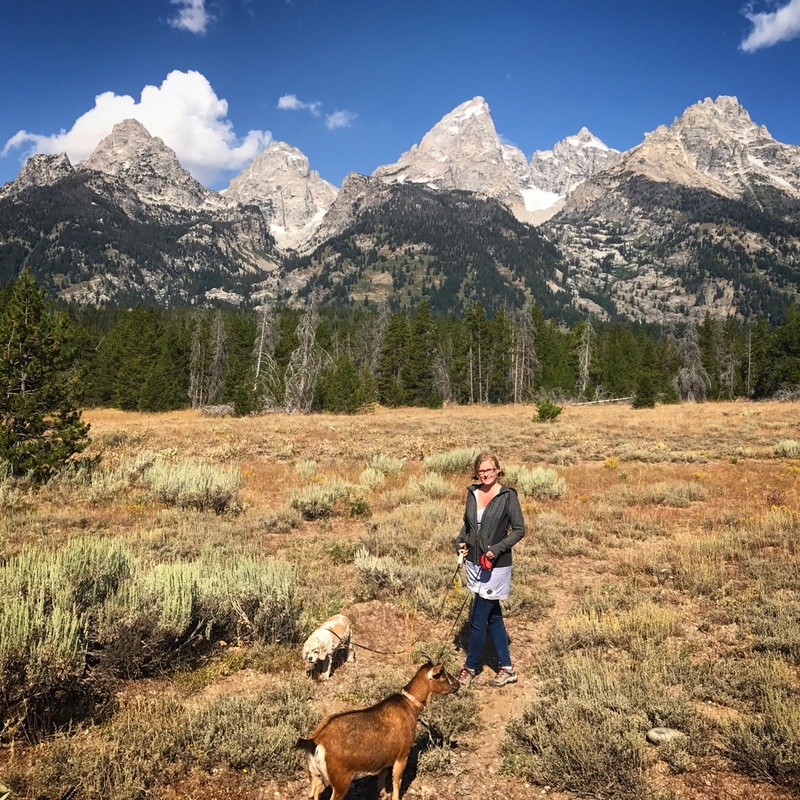 Previous Post:Not Salt Lick City, goat…I said Salt LAKE City! Next Post:Ketchum if you can! It sure sounds like a lot of fun was had. I know those areas very well as I was born and raised in the Red Lodge Mt. area and was only 60 miles away from Yellowstone so we went about every year. The scenery is amazing and easy to fall in love with. Hey argosy crew! It’s the two Okies here, we’re almost back home. We had such a great time. It was great to share such an amazing experience with some very cool people. Thank you for letting us invade your space. Hope to see you again somewhere out on the road some day. Thanks for dropping by and sharing your telescope. That was one of the coolest experiences ever! Darn, I was at lower Teton Overlook adjacent to Triangle X Ranch. Where were you guys exactly. Would have loved to run into you.